Who does 9-1-1 call when 9-1-1 needs help? They call the Telecommunicator Emergency Response Taskforce (TERT). 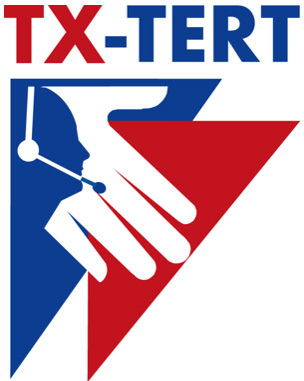 The NCTR-TERT program is a region of public safety Telecommunicators who respond, relieve, assist, and/or augment PSAPs affected by natural or man-made disasters within the NCT9-1-1 Region. Quick deployment for immediate relief of exhausted telecommunicators. Maintains daily operations within the PSAP regardless of circumstances. Support PSAP staffing to ensure public and first responder safety. Follows all Local, State, and National APCO/NENA ANS 1.105.1-2009 Standards for TERT Deployment. Don’t forget to follow TX TERT and NJTI on Facebook and Twitter!